We are the United Methodist Church of Westbury. Our Pastor is the Reverend Elon J. Sylvester. Our church family has the goal of bringing into our daily lives the great love, gifts, joy and mercies of our Heavenly Father. We share these bounties and blessings through worship and various ministries. We invite all to come and worship and fellowship with us in the name of our Lord and Savior Jesus Christ. *Our worship services are held Sundays at 10am. Please use this website to access the information you need about Westbury United Methodist as well as a resource for broadening your faith. We look forward to hearing from you and seeing you in the future. United Methodist Men Regular Meeting-Second Sunday of every other month. Trustee Meeting-Second Sunday of each month. United Methodist Women General Meeting-Third Wednesday of every month. Noon Day Prayer In The Sanctuary. All are welcome! Theo Talk with Rev. Elon Sylvester. Exploring the deep and hidden secrets of the bible together. SPPRC Meeting-Fourth Thursday of each month. Worship Meeting-First Thursday of each month. Bell Choir Rehearsal-Every other Thursday of the month..
Chancel Choir Rehearsal-In Fellowship Hall. United Methodist Men General Breakfast Meeting-Third Saturday of every other month. 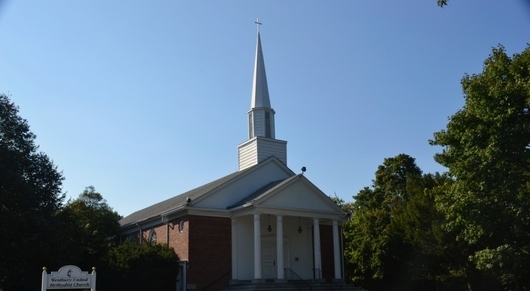 United Methodist Church Of Hempstead Spring Rummage Sale.